Audiences also saw a few sequences from the film, including one where Egerton faces off against Tatum's Kentucky cowboy and loses. Ever sipped on a White Walker or taken a bite out of Drax the Destroyer? Now’s your chance! 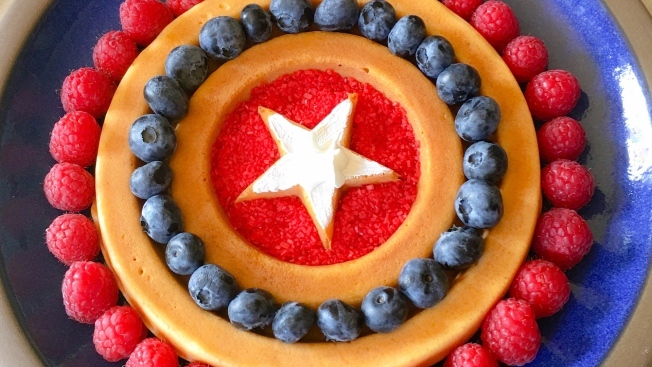 Here are 5 comics-themed treats to try during this year’s Comic-Con in San Diego. Taron Egerton is no match for Channing Tatum in a fight and Halle Berry can hold her liquor. Those are just a few of the messages Comic-Con audiences got Thursday at the Hall H panel for "Kingsman: The Golden Circle" that kicked off the annual fan convention. The raucous panel promoting the spy sequel went to a new level when Berry downed the half a pint of whiskey that Tatum poured for her in one gulp. Berry and Tatum are new additions to the franchise as American spies called the Statesman. Audiences also saw a few sequences from the film, including one where Egerton faces off against Tatum's Kentucky cowboy and loses. Egerton says he is nothing compared to Tatum strength-wise. "Kingsman: The Golden Circle" hits theaters Sept. 22.